Professor : Jun Ogawa, Ph. D.
Associate professor : Shigenobu Kishino, Ph. D.
Assistant Professor : Akinori Ando, Ph.D.
Program-Specific Researcher : Yoshimi Shimada, Ph. D.
Program-Specific Researcher : Si-Bun Park, Ph. D.
Program-Specific Researcher : Natsumi Okada, Ph. D.
Research Fellow of the JSPS : Tomoyo Okuda, Ph. D.
Researcher : Warawadee Nirdnoy, Ph. 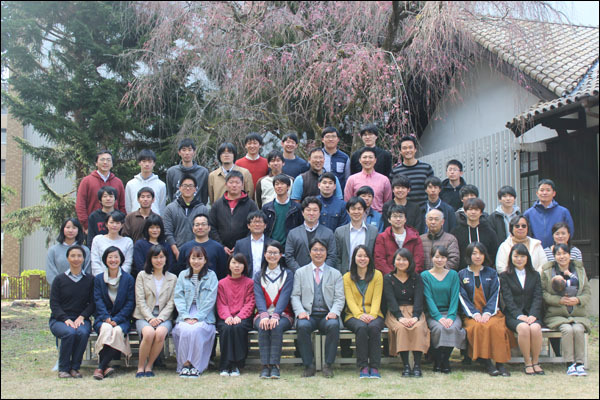 D.
Visiting Professor : Makoto Ueda, Ph.D.
Program-Specific Associate Professor : Ryotaro Hara, Ph.D.
Program-Specific Assistant Professor : Michiki Takeuchi, Ph.D.
Copyright（c）2019, Lab. 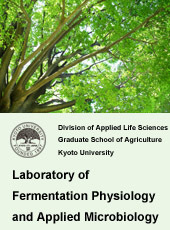 of Fermentation Physiology and Applied Microbiology, All rights reserved.